In wet seasons, flowers may be scarce because of peony blight, a fungal disease that kills the buds when they are about the size of peas. Make sure you pick these black buds off to stop the spread of the disease. In addition to traditional, herbaceous peonies, you can also plant tree peonies. These are slow-growing but magnificent shrubs but the blooms are even more fleeting and they are often too big for the stems to support so you may need to stake them when in flower, especially young plants. They are not difficult to grow, in part shade or sun, but are best in a sheltered spot so the flowers do not get damaged by cold and wind. If you want to be bang up to date, plant some ‘Itoh’ peonies which are a cross between herbaceous peonies and tree peonies. They are rather expensive but they are beautiful border plants with attractive leaves, a sturdy habit and they have a succession of flowers, opening one after the other, so make a better and longer display. The newest and best can cost more than £50 but you can do no better than start with ‘Bartzella’, a beautiful yellow and red that is among the easiest to find and cheapest to buy. 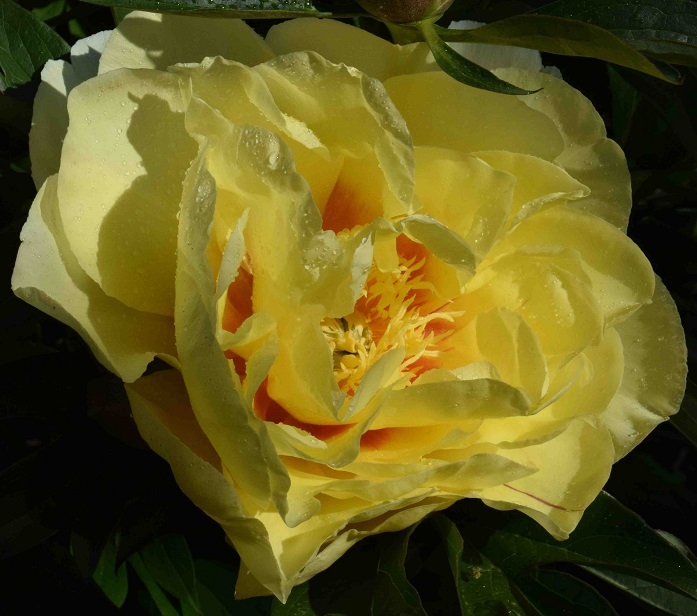 Did you miss part one of “Peonies – queen of border flowers”?